Novation today has supersized its popular Ableton controller into the Launch Control XL edition. This new Launch Control XL has a total of 16 buttons, 24 knobs and 8 faders which all integrate seamlessly with Ableton Live’s mixer, instruments and devices. 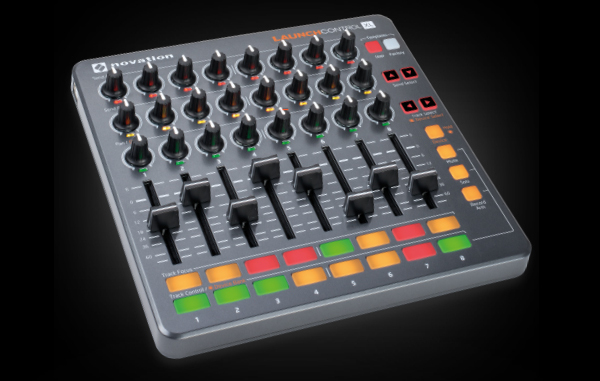 The knobs with multicoloured LEDs are laid out like Ableton’s mixer interface in three rows of eight, but you can reassign them – and the rest of the controls – to any thing you like. If you combine Launch Control XL with Launchpad S, you’ll have the perfect modular Ableton Live system, controlling session view, mixer, effects and instruments at once. Producing the perfect mix or capturing that awesome performance has never been easier! Click here to see the Novation range @ Scan.